An intermediate level book that showcases companies around the business models they choose. 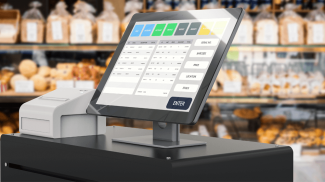 A great read for business owners looking to stand out from the competition. What’s your business model? If you’re like me, you may not have given this a lot of thought. 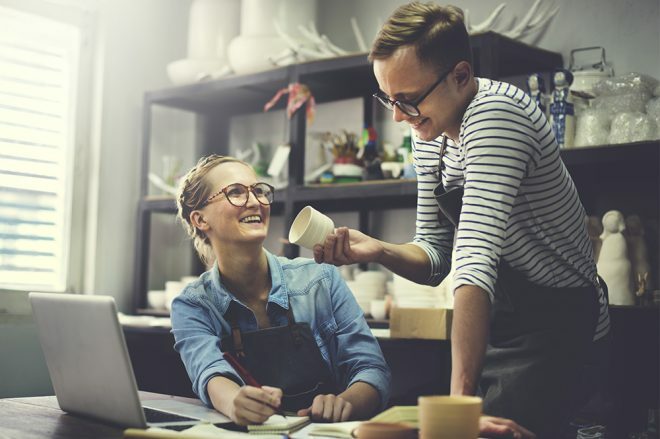 But selecting and running a great business model can not only make your company more profitable, it can help you stand out from other alternatives in such a profound way that you will own the market. If you liked Blue Ocean Strategy, you’ll Love The Risk-Driven Business Model: Four Questions That Will Define Your Company. This is a super read for anyone who loves learning about business models as marketing and differentiation strategies. If you’re one of those people who watches, notices and admires companies that disrupt the assumed way of doing things, then you will love this book. The book is written by two professors. Karan Girotra is a Professor of Technology and Operations Management at INSEAD, a former entrepreneur and advisor and mentor to startups. His co-author, Serguei Netessine is the Timken Chaired Professor of Global Technology and Innovation at INSEAD and the Research Director of the INSEAD-Wharton Alliance. Information risk refers to making business decisions without sufficient information. Incentive alignment risk arises when the structure of the business model lead to actions that clash with the intent of the model. This might sound complicated, but the authors make it easy. Who is empowered to make decisions? Why these people make the decisions they do? The authors use these four questions as business model levers. In other words, like Archimedes, by answering a single simple question, you can radically disrupt how things are done in your industry and create a competitive advantage. 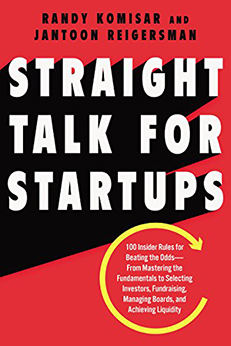 The authors use examples from large and small companies and startups to show you how business models can be invented or adapted to manipulate risk. One example is LiveOps, the private San Francisco-based customer service solutions company that disrupted the call center business by creating a real-time hiring model that matches callers with their ideal customer service representative. Another great example is MyFab, a company that leveraged the “When” decisions are made model. Their goal was to reduce the risk that comes from when decisions are made. In the furniture business, you often have to make decisions very far in advance of stocking and shipping products. MyFab changed the game with the goal to reduce information risk and incentivized customers to vote for their favorite proposed designs. Rather than guess what demand might be, this model reduces their risk and increases customer satisfaction. The authors say that we’re in a perfect storm of business model innovation because of technology advances that have made new business models possible. Consider app-driven businesses such as AirBNB and Uber. In addition to this, technology innovators need new business models to profit from their innovations. The authors site Tesla and their dealership and repurchase and switching station based business model. 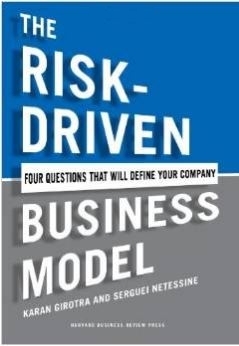 The Risk-Driven Business Model is an intermediate business book. It’s written by two academics and is loaded with case studies. If you prefer lighter business book fare, then this may not be an enjoyable read for you. If, on the other hand, you enjoy case studies and examples and deeper dives into business models and strategies across industries, you will like this book. Think of this as continuing education for the business student. 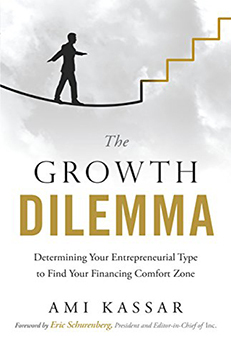 I would recommend this book to any business owner who has been worried about competing and standing out in their marketplace. If this sounds like you, The Risk-Driven Business Model will give you plenty to consider, think about and play with. You don’t need an MBA to use the principles in this book to create a new model for your business. I can see how you can learn from this. You said that it is packed with case studies so I think that it will really be valuable. I really need to read the book to understand the book to read about the risk-driven business model.